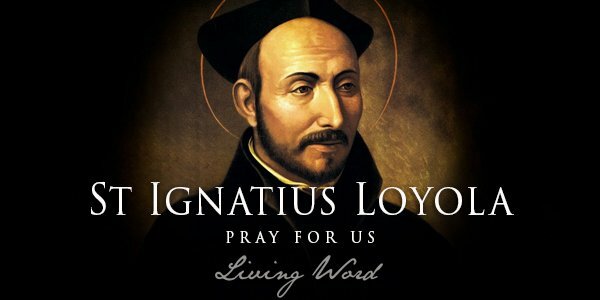 Today we celebrate the feast day of Saint Ignatius Loyola, the great Catholic reformer and spiritual director who, as well as founding the Society of Jesus (aka ‘the Jesuits’), developed the Spiritual Exercises, a series of meditations and prayers that continue to have a profound spiritual impact on those who undertake them, 470 years after they were first published. Today’s Gospel explanation of the parable of the darnel is a fine one for today’s feast. Ignatius was filled with zeal for the faith at a time of major upheaval in the Church. He was passionately committed to the idea that he and his Jesus-loving brothers were called by the Lord to be the good seed, sown into the world by the hand of Son of Man himself. Ignatius had no doubt that there are also other forces at work, sowing deception, fear and confusion in the world and attempting to lead souls into darkness. For us in the 21st Century, the task of evangelisation and renewal is as urgent as it was for Saint Ignatius in the 16th Century. The stakes are high. It’s time to embrace our vocation to be the Lord’s good seed in the world.